Last week, the kick-off of the World Poker Tour (WPT) Fallsview Poker Classic took place at the Fallsview Casino Resort, in Niagara Falls, in Canada. 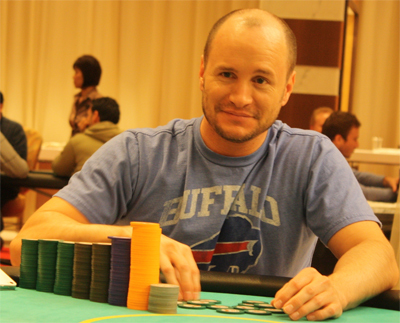 The inaugural tournament, namely a No-Limit Holdem at $1,100, has already crowned its winner. Its about Mike Leah, the champion of the NL Holdem 8-Handed at $5,000 of the PokerStars Caribbean Adventure 2014. Thus, he has just signed his second greatest achievement of the year, which has awarded him a gain of $118,982. Let us note that this event gathered 81 players. Since the beginning, Leah has already developed a high-level game. He started the final with the second biggest stack of the table. Despite some difficulties during this last day of the competition, Leah managed to win the title by defeating Geoffrey McNeely in the final duel. Now, the action is in full swing in the poker room of the Fallsview Casino. In fact, a multitude of stars following the example of the leader of the ranking Player of The Year, Mike McDonald, or Jonathan Little, James Calderaro who was just crowned champion of the WPT Lucky Hearts Poker Open and Vanessa Selbst burst out to win the trophy of the main event at $5,000. Leah is also among the competitors for this event. Having the purpose of winning the title of WPT player of the year, all these players will carry out a hard battle to win during this competition, in order to improve their position in the classification. Jared Jaffee occupies temporarily the title of leader.